For every people it is a serious responsibility to drive a car safely and securely in a busy road. The attitudes towards driving will have a serious impact on their lives from the protection, social, associated economic points of regard once it involves driving an automobile,. For this reason, deciding to require driving lessons is such a straightforward alternative. Taking driving lessons right at the start of someone’s driving career will have such a lot reaching consequences well into the long haul. Driving training assist you to increase your confidence and your belief that you simply just can pass the driving test successfully. Youâ€™ll learn all the safe and secure driving techniques and additionally the ability required to manage an automobile. Despite everything, it’s such associate not possible factor to establish a way to drive on a road or in traffic from a book or on-line driving course regardless of how much useful they’re. 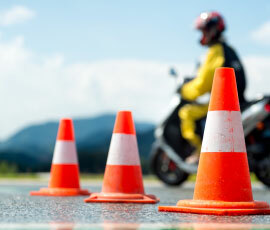 The on-line driving coaching programs, study books will assist you to pass your driving test. So it is very crucial to get rained from a well known and best driving training school like Dhoot. They have professional trainers who are all govt. licensed DSIs. They supply the learner driving coaching in several languages excluding English as they have bilingual educator. There are varied types of driver CPC modules like driver CPC module 4 and 2 and CPC case studies are provided to the trainers to extend the information concerning driving. All the driving vehicles are state of the art that includes a facility like twin management. This facility decimates any quite mishap whereas driving. PCV training: Our category D PCV driving courses of PCV category D1 driving courses in Acton, London are offered to people desirous to have their PCV driver’s license. The various kinds of PCV coaching given by them are D+E, D1+E, D automatic bus license, D1 minibus license, D1+E minibus and trailer license, D manual coach license etc coaching. LGV/HGV training: There are HGV and LGV driving courses at the market to equip those who are keen to appear for driving in this industry. LGV or HGV coaching programs are generally carried on to qualify drivers in classes C and E those are class l license. Such coaching programs are supposed to beginning driving as career in driving little or massive vehicles to enhance their driving skills. The LGV license covers any automobile that weighs 3.5 tones and over that. These motorcars are fragmented into varied license classes like C1 + E-7.5t + trailer, C1 + E license, C upto thirty two tons license, C + E truck and trailer license etc to differentiate drivers who will drive the larger vehicles and also the drivers who will exclusively drive the smaller cars. C and C+E are the two main classes of these licenses. Driver CPC coaching: Recently UK govt. has introduced a brand new coaching program called the CPC driver training for those drivers who are extraordinarily consummate and may drive huge vehicles. Primarily, it’s supposed to extend the protection on the road and within the industry. Those skilled drivers who don’t keep their skills sharpened are proned to suffer from some variety of road traffic accident. Veteran drivers enhance their driving skills and assert them at their highest levels within the highest degree by being forced to enter driving courses each five years. So as to induce license they have to pass CPC Theory test and also the practical test. B + E automobile and trailer training: Class B+E permits cars up to 3.5 tones to be combined with trailers in additional than most weight of 750kgs. To possess this license, new class B license holders have to be compelled to pass an additional sensible assessment test for B+E. After productive completion of the driving coaching, Dhoot coaching centre Acton, London provides complete support to the new drivers to induce the license as they are collaborated with some dedicated and honest driving agencies. 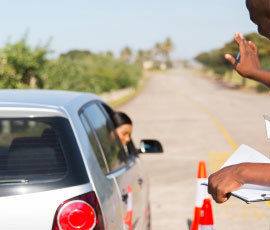 They send their documents with different vital documents to Driver and Vehicle Licensing Agency (DVLA). Once enrolling to the coaching course they’re confirmed that solely a couple of their learners have to retake the driving test. Thatâ€™s why Dhoot Driving School school Acton, London provides their trainer PCV Pass protection service and other programs like refresher training courses. This is the best thing of getting enrolled at this training school. Their learning process is so good that you donâ€™t need to use this service. If you are not satisfied with their training programs or you cannot pass the driving exam then they refund some amount of the coaching fee. So if you are fully convinced of their various driving trainings then you can contact with them for more detail information.